What a great surprise from today’s announcement of the Golden Globe nominations. Helen Mirren has received a nomination as Best Actress in a Musical or Comedy for “The Leisure Seeker”. She remains the film’s sole nomination. “The Shape of Water” leads with seven nominations. “The Post” and “Three Billboards Outside Ebbing, Missouri” received six each. 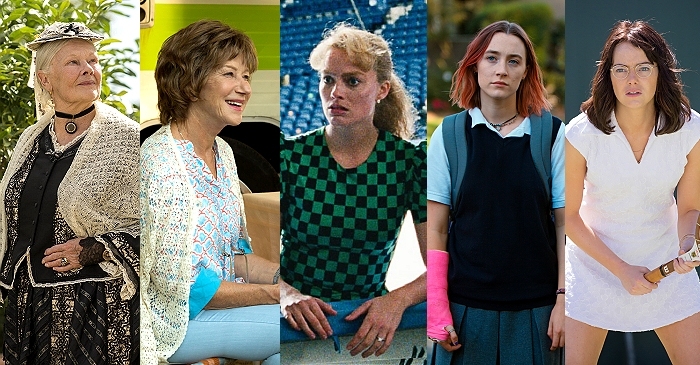 “Lady Bird” has four nominations, and “I, Tonya”, “The Greatest Showman” and “Dunkirk” each have three. This is Helen Mirren’s 15th nomination for a Golden Globe! She has won three, for “Losing Chase”, “Elizabeth I.” and “The Queen”. The Golden Globes will be handed out quite early next year during a live ceremony on January 07, 2018.